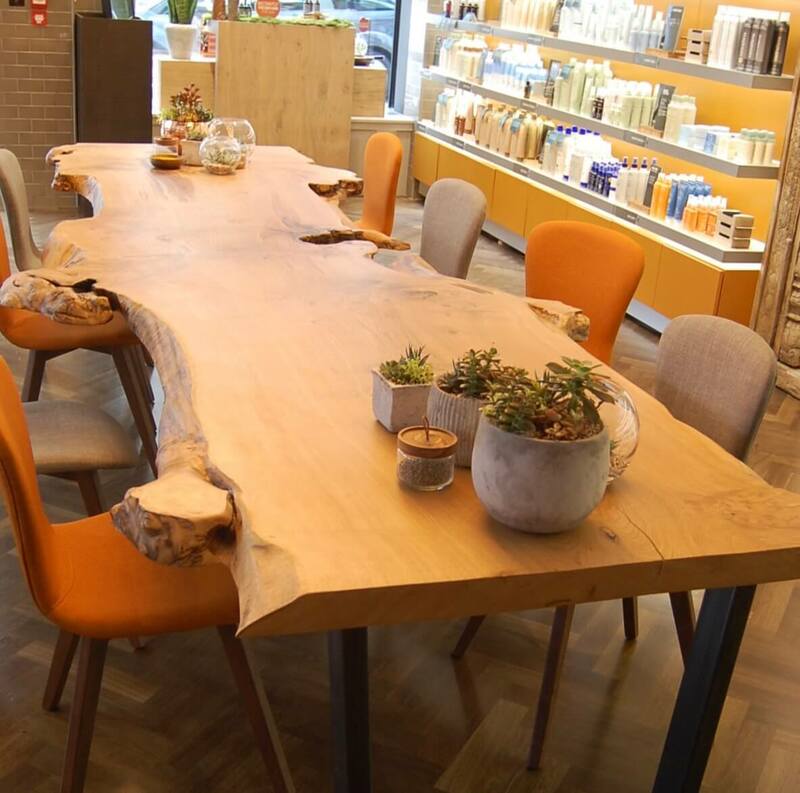 live edge tables, waney edge tables, tree slice dining table. The timber we source come from properly managed sawmills around the country that are sustainable and traceable. They either come from managed woodlands, trees that have come to the end of their life span or have been felled due to land clearance. 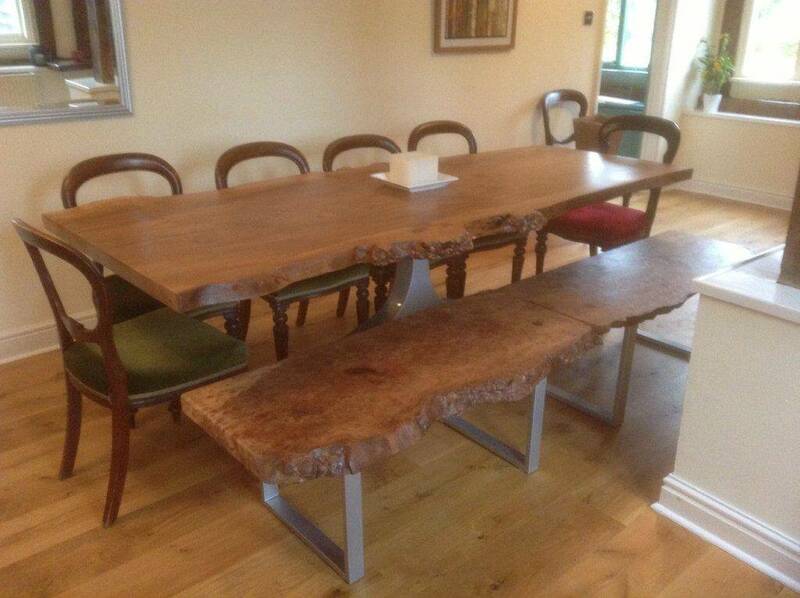 We moved house recently in Gloucestershire and were looking for a bespoke dining table for our house. 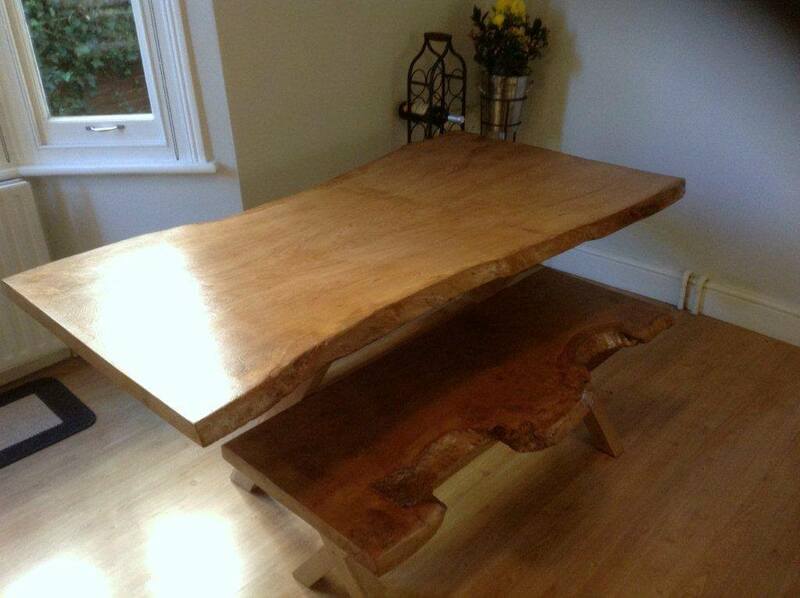 We found Sharon and Fletch who have sourced a fantastic piece of oak for us. 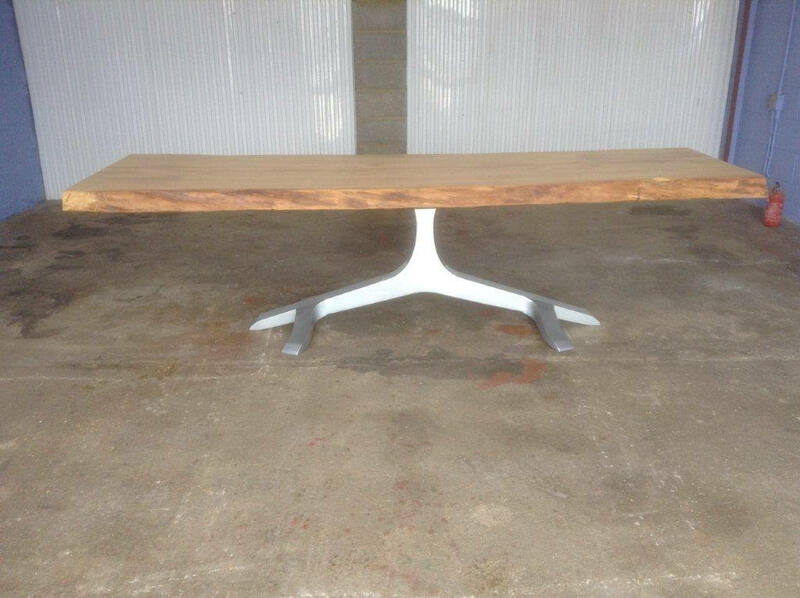 We have been in regular contact and finally received our custom made dining table last friday, delivered by Fletch and Sharon themselves. 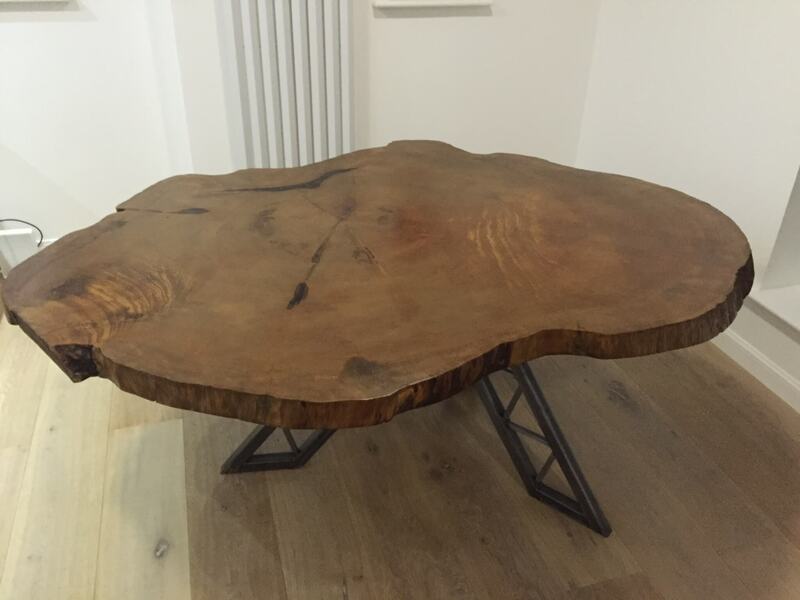 The table is just perfect, you can feel the history of the wood when moving your hand across the surface and edges. It has been treated with care. Beautiful. Thanks for a very professional service. 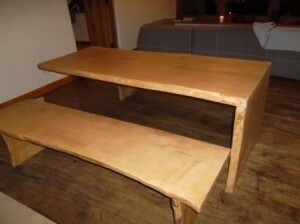 Am already looking for another piece, kitchen table next! 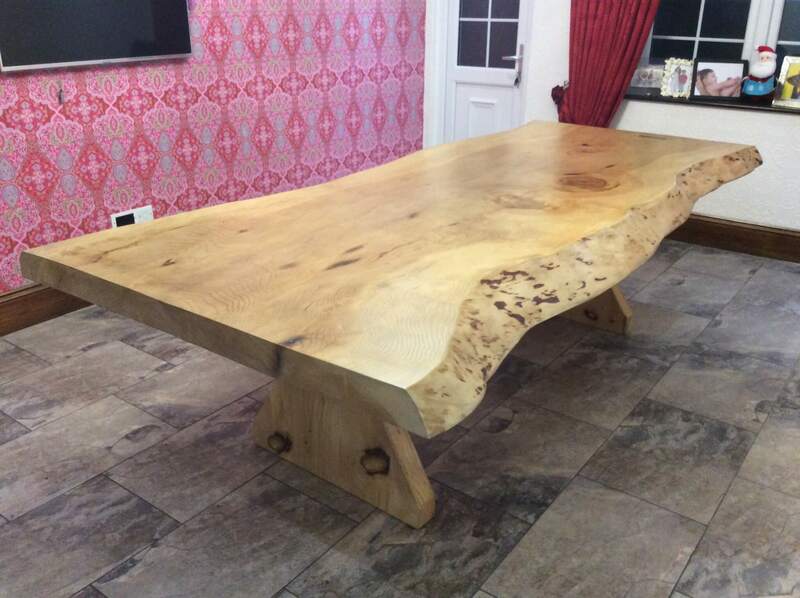 I have just recieved the most wonderful slab dining table from unique wild wood furniture, just superb and so pleased with it, Great people to do business with, I highly recommend this company. 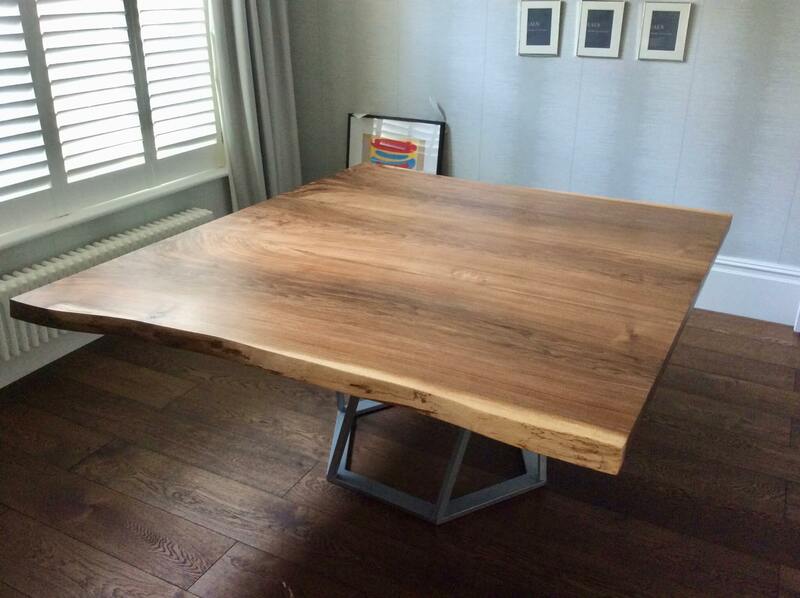 Fletch has executed to perfection the dining table we have designed. He kept us informed on the progress with pictures and has selected a very special old slab. The final effect is amazing and reflects the combination of a great design and a great passion. We hope to do more projects together. Amazing job! The table and the barn will be soon featured in Elle Decor Case di Camapagna Speciale, Italian version. 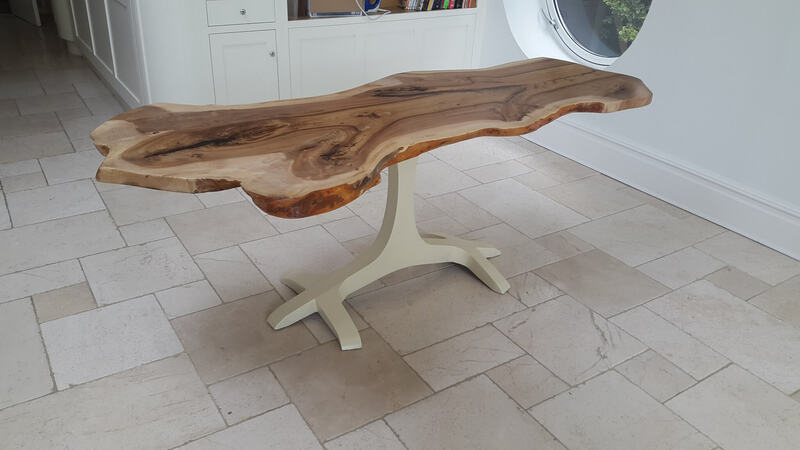 Fetch and Sharon kept us informed on the progress from start to finish, we were looking for a slab with provenance and after a few months they had selected a very special ancient oak slab. Fletch & Sharon sent as many pictures of the slab and it process, it was great to see it from it raw state to the finished table. The final effect is amazing and reflects the combination of a great design and a great passion. The table beat all expectations we had and looks perfect. 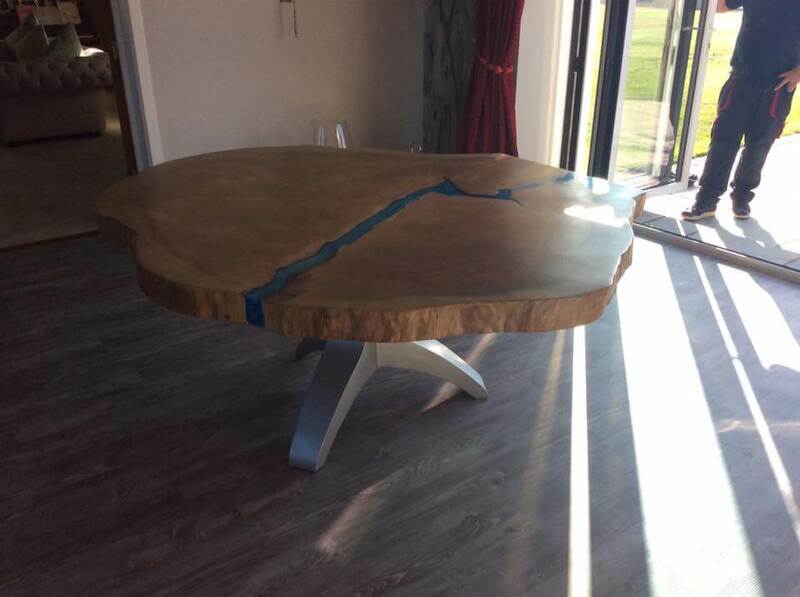 Fletch and Sharon were a pleasure to work with both in helping us find the right piece of wood and design to making the final table. Highly recommended Amazing job. "Fletch has the eye and skill of a Nakashima - as well as incredible modesty and humility, knowledge and discernment. I wish I could keep the secret to myself, but Fletch deserves to be recognised for his rare and valuable skills as an artist, and so I must let others into this wonderful secret. From a practical point of view it has been an absolute pleasure to work with Fletch and Sharon. As an interior architect I work with many designers and makers, and I have never had such an open and productive interaction as with Fletch and Sharon. 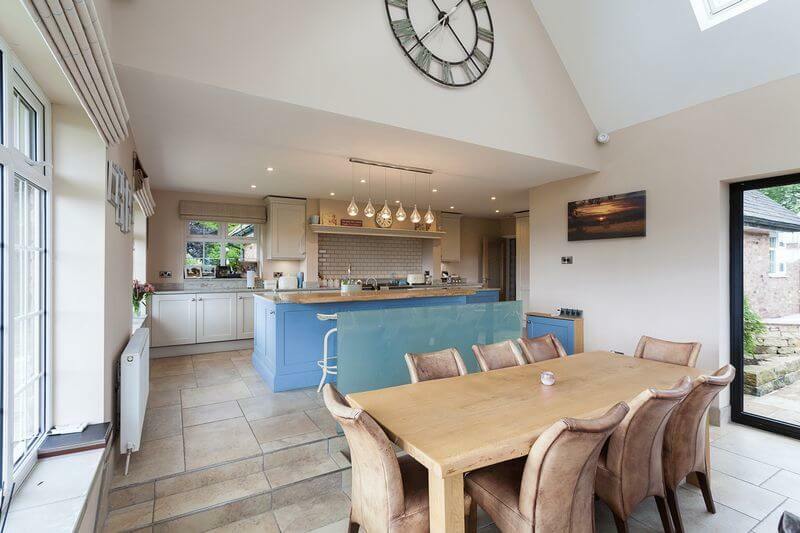 From an aesthetic point of view, Fletch and Sharon completely understood the aesthetic I was aiming for and delivered finished works that more than exceeded my expectations. I cannot recommend Fletch and Sharon more highly. 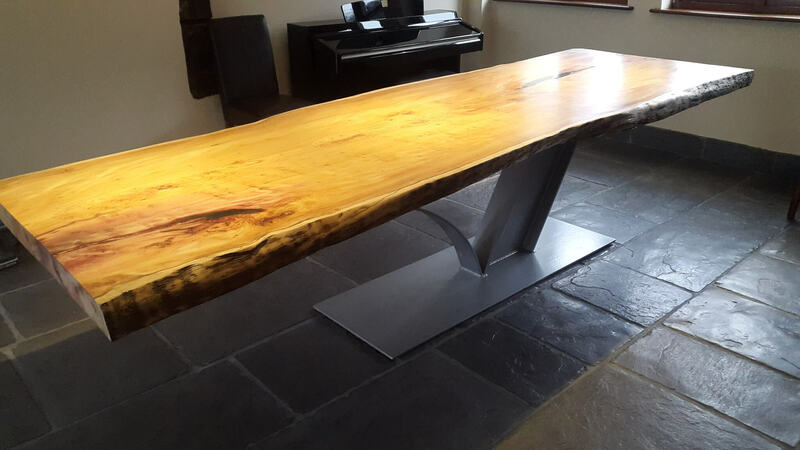 I see every day the pleasure that is given by the pieces Fletch and Sharon create: when I see clients running their hands over the wood, I know that Fletch has done more than create a piece of furniture, he has enriched the way we interact with the pieces we use every day. I think this is the magic and the legacy of Fletch's works." 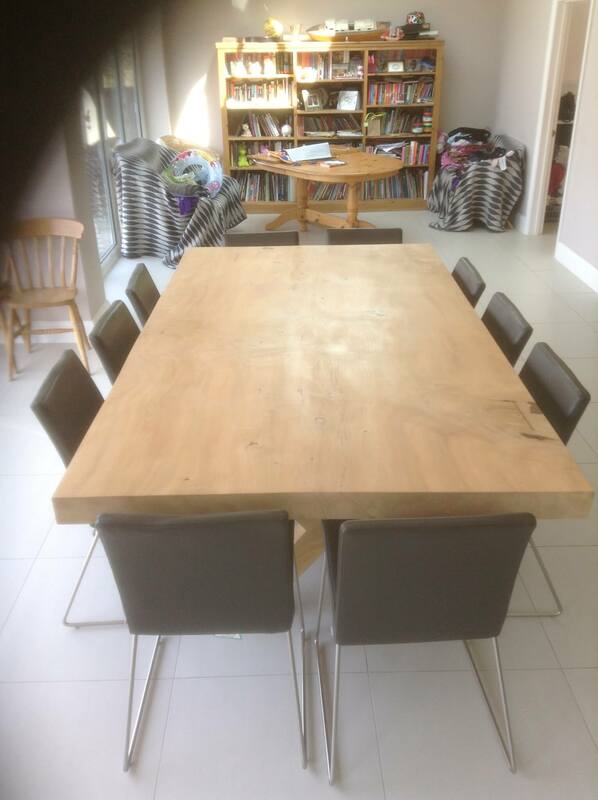 I have recently bought a house and was after a natural wooden dining table which would fit with the rest of the house which is quite classical but at the same time would not be boring and 'mass market' looking. 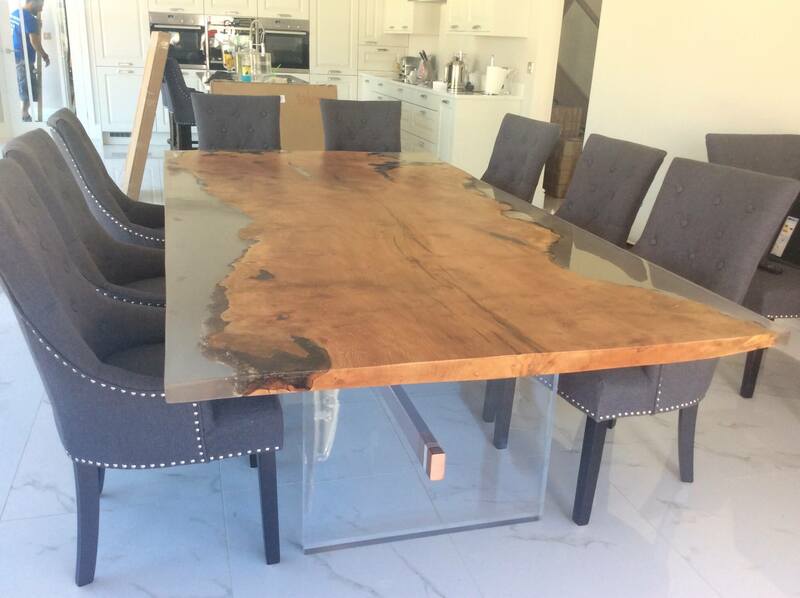 I came across Fletch and Sharon's website and emailed them describing the type of table I was after and the type of wood grain and colour I wanted. 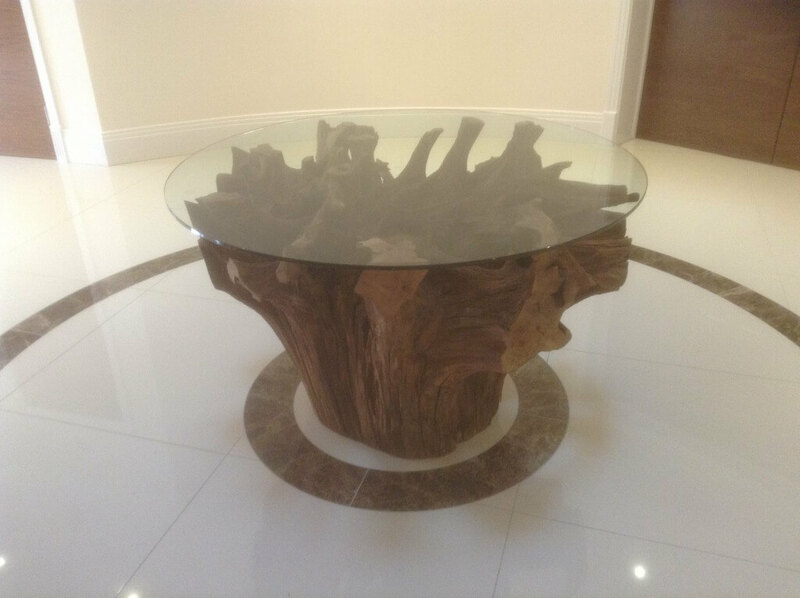 When it comes to different wood species, I am a complete layman, so Fletch phoned me and was able to understand the type of wood which suited my requirements from my description. 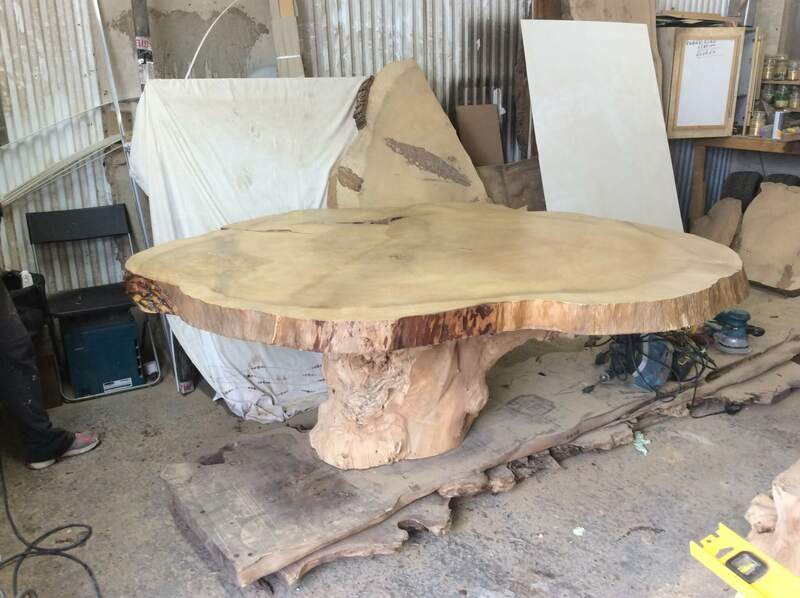 The piece he suggested was basically an antique slab of wood that works out over 500 years old if you calculate the time it took the tree to mature to that size, and then the time it was left on the old estate as a piece of unused timber. 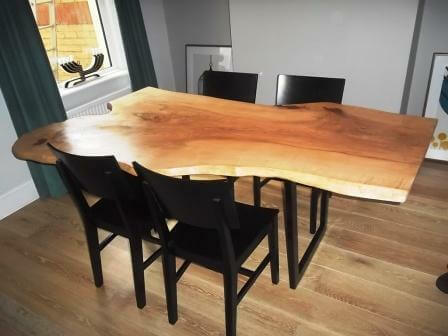 Even this is a fascinating story for a dining table! 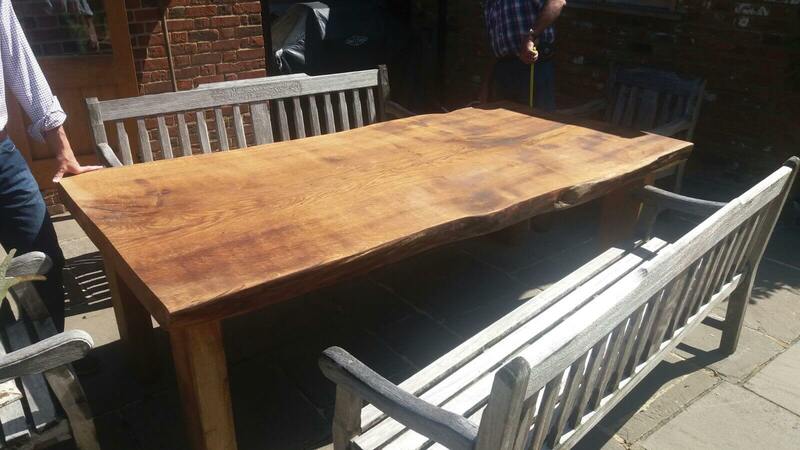 Fletch took photos of the slab of wood he located for me in Somerset and advised me how the finished piece would look once it was finished and varnished properly. As we all know, ordering anything like this online takes a bit of a leap of faith because you never know how it will turn out when all you have to go on is pictures on a website. 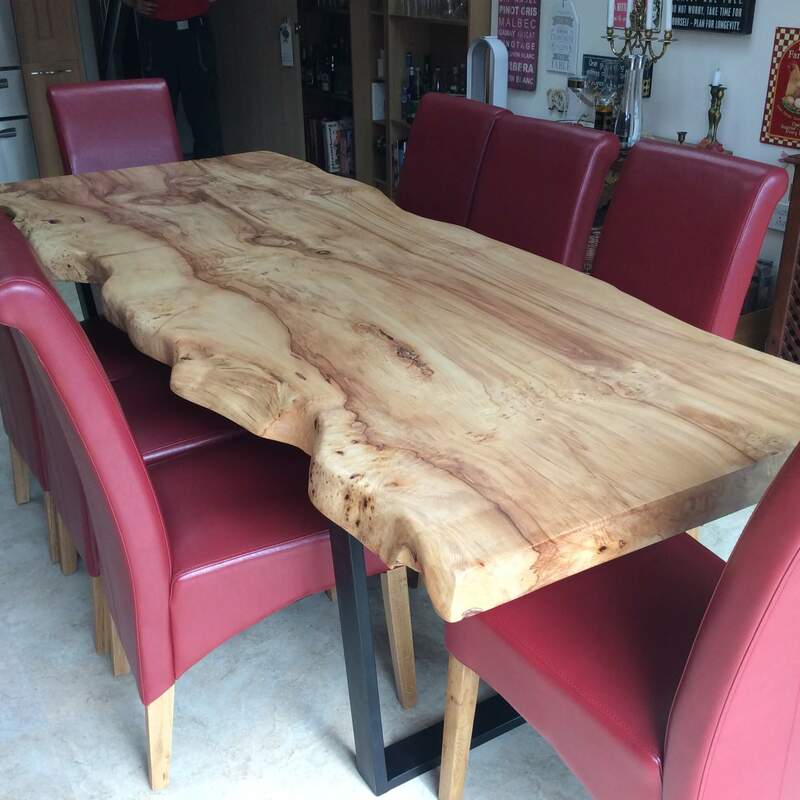 All I can say now that the table has arrived is "wow" - both Fletch and Sharon have done a wonderful job in creating a dining table which is both practical and could probably be described as a piece of artwork. They are passionate about their craftsmanship and love what they do, and it shows through completely. 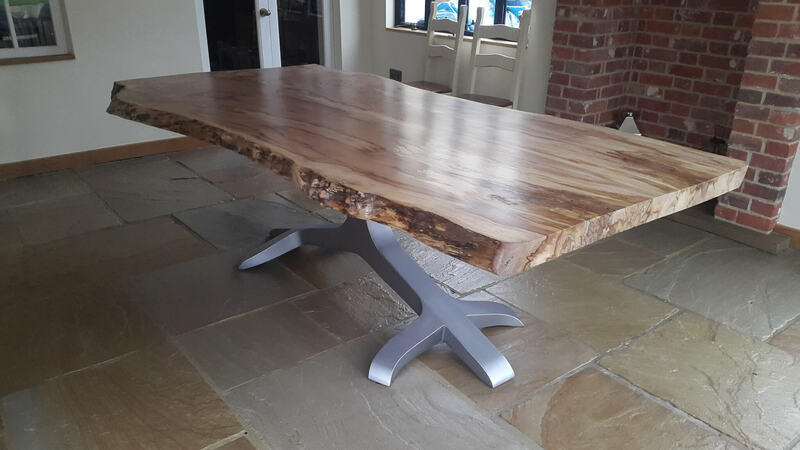 Absolutely everyone who has been in my house - from the tradesmen to my friends and family - have commented on how stunning the table is. The pictures on the website simply do not do their work justice. About their customer service. 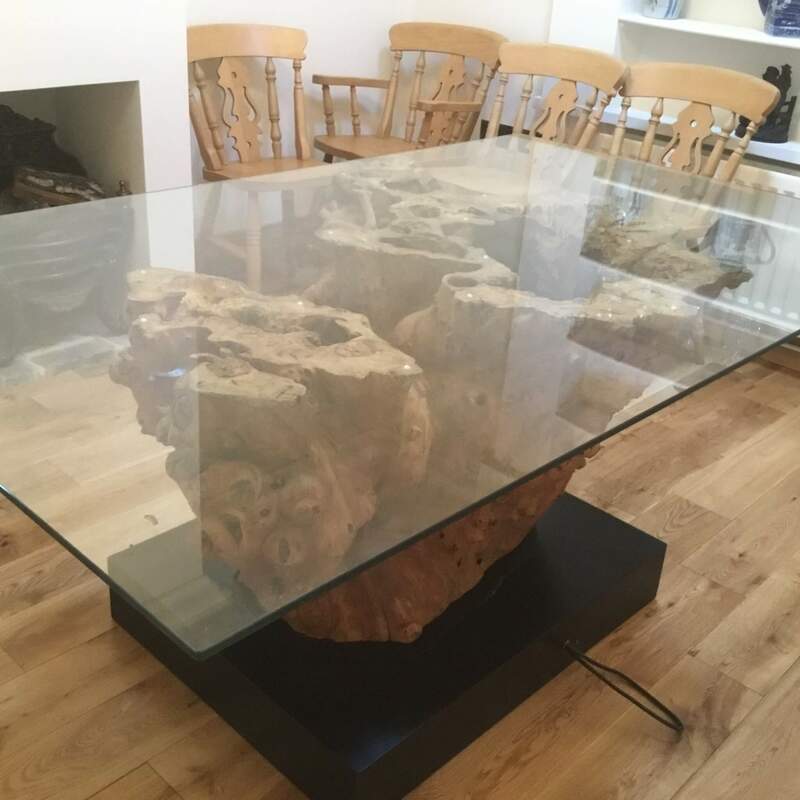 I had several delays to them delivering the table because I had to wait for the renovation to be complete, about 6 weeks overdue, and they were very patient and understanding when other businesses might have got frustrated or been demanding about shifting it from their storage, something I feel which speaks very well of them as a business. 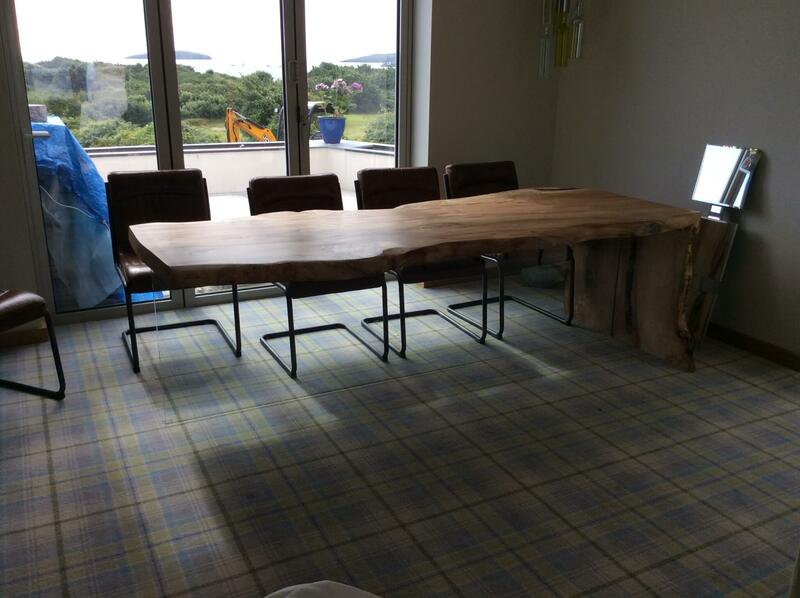 All in all, if this is the type of table you are after, do not hesitate to contact and collaborate with Fletch and Sharon. If I had more money, I would ask them to create me a desk for my office. One day! 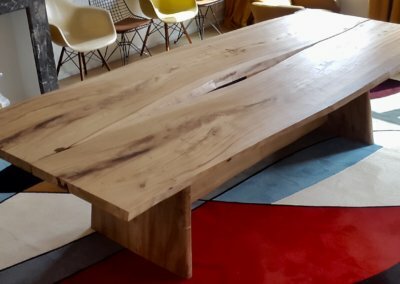 Many years ago we saw a table using a length ways cut from a Teak tree trunk in a shop where we purchased tree root coffee table. A couple of years ago we decided we wanted to purchase a similar table. After two years of searching and trawling the internet we were resigned to the fact that we could only buy from America. That was until, luckily, we came across the website of Fletch and Sharon. 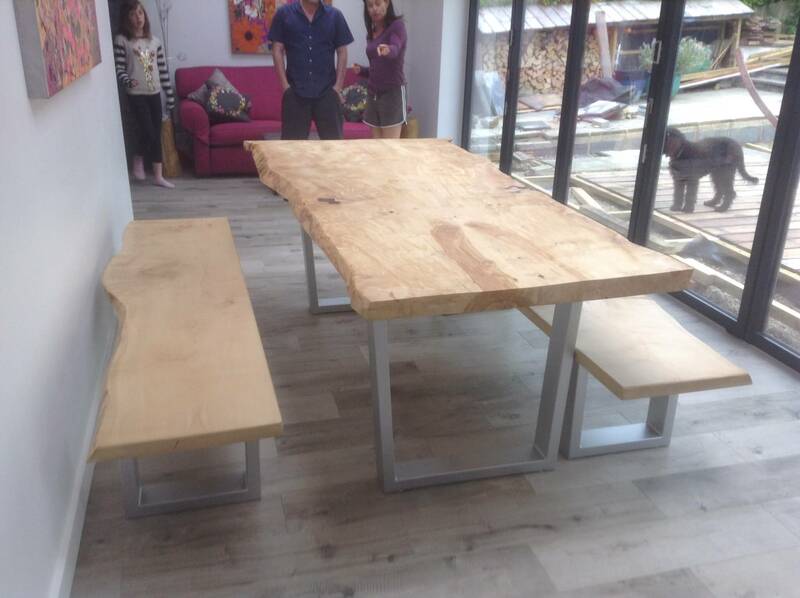 After looking through the amazing bespoke tables pictured throughout the site we called Fletch and Sharon at our first opportunity . 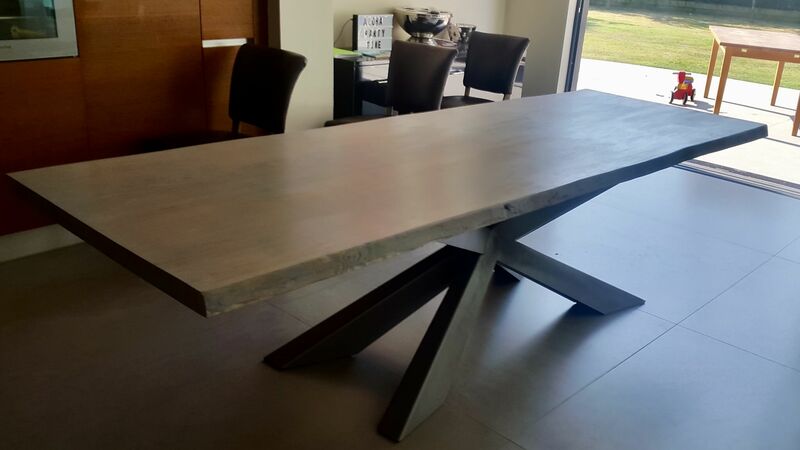 Fletch was extremely helpful and listened to our extensive list of requirements, we knew exactly what we wanted and gave Fletch and Sharon a really hard task in finding the right slab, for our table, but Fletch and Sharon gave us the hope that our dream table could be brought to life. 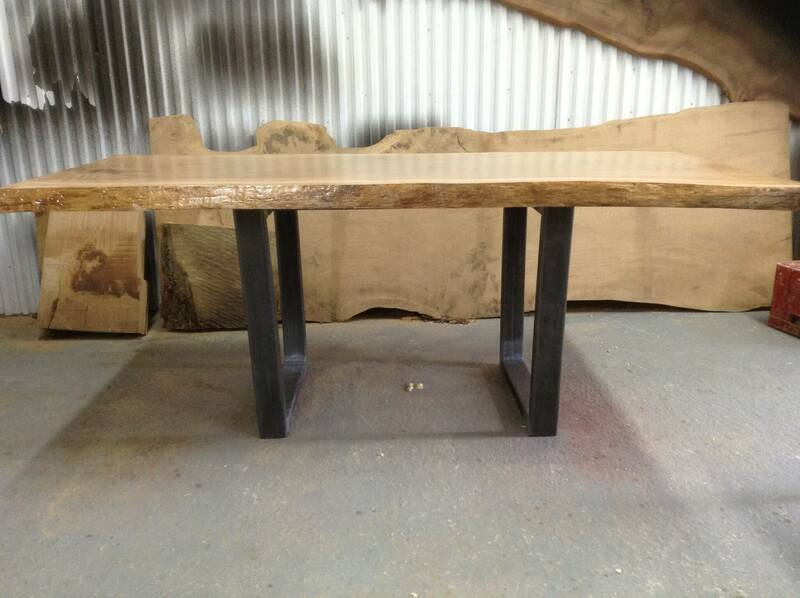 The table was in the final stages of completion and we threw in yet another curveball asking for a bench to match. Again they rose to the challenge and delivered a perfectly complementing bench in the matter of days. 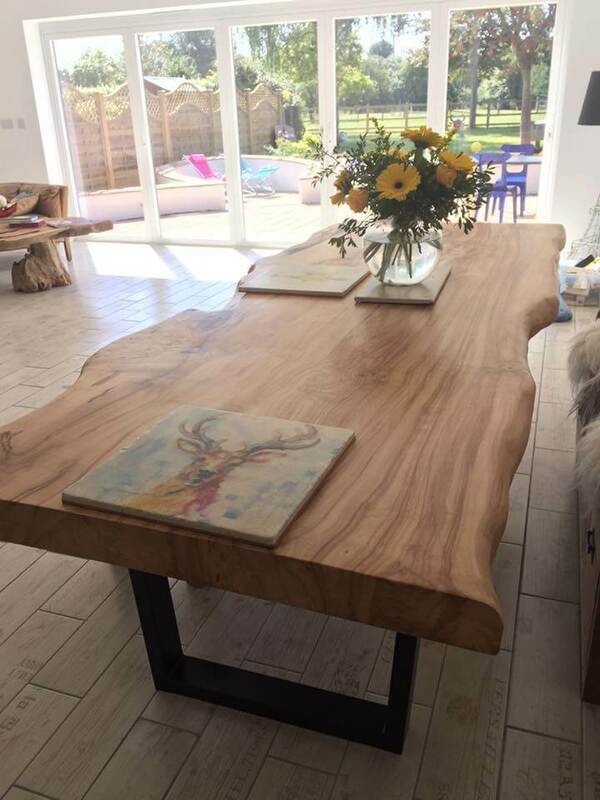 The day finally arrived for delivery and the excitement was over whelming, our dream table with the most beautiful piece of Oak I have seen, full of cat paw markings and knots and the most stunning edges, with remarkable attention to detail and finished in finest quality craftsmanship had arrived. 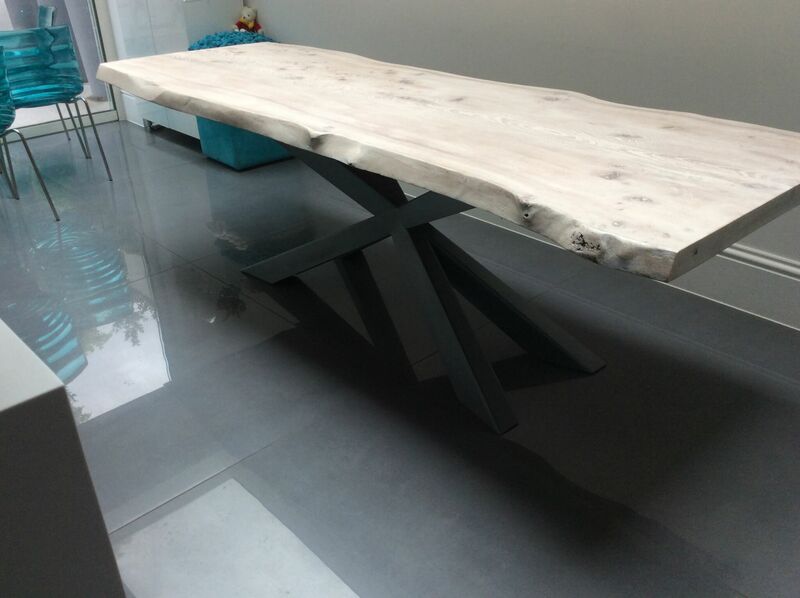 This was complimented by an Ash bench of equal quality finishing and just emphasised the table even more. My husband left for work after the delivery and I just sat there staring for hours. There is no way this table could be improved and will be with us for life.. Fletch and Sharon are the epitome of customer service, taking in every requirement and delivering above and beyond all expectations . They are Dream makers, and we will be back soon for them to fulfil more dream Thanks Karen and Colin Renshaw. 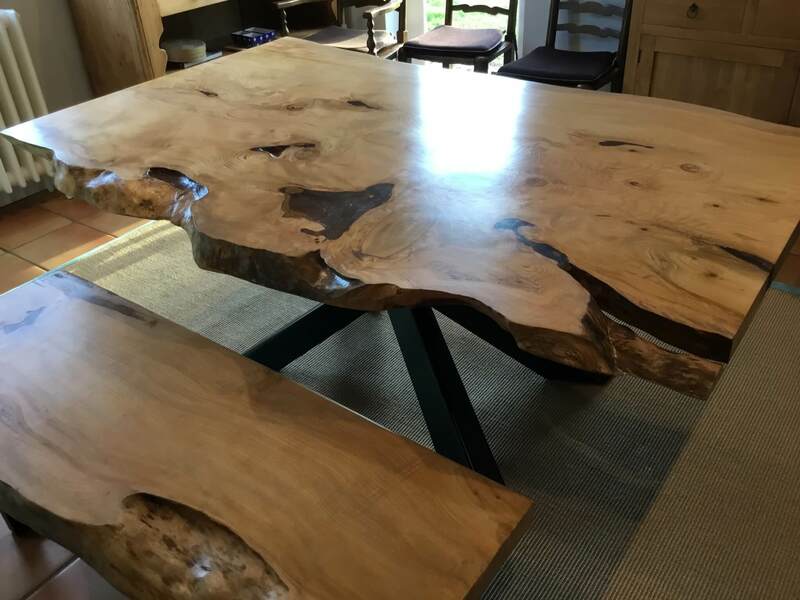 After several months of searching for a natural edge wooden slab dining table, and finding that many on the internet seem to be US-based, we came across Unique Wild Wood with Fletch & Sharon. Even after a few initial discussions, we continued to compare other potential options in stores across the UK & Europe. 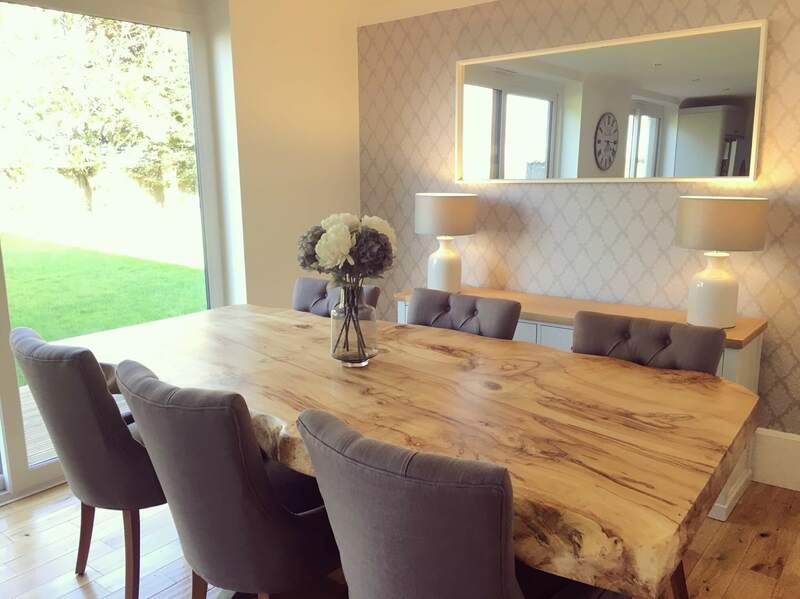 I'm pleased that we decided to stick with Unique Wild Wood - our bespoke oak dining table was delivered at the weekend & really is fantastic. From the outset, Fletch & Sharon have been a pleasure to work with, especially given the challenge of designing & ordering furniture without actually seeing it first & the many photos, questions & requests as a result. Having searched high & low, Unique Wild Wood really provides a unique offering in the UK & I would strongly recommend Fletch & Sharon's personal & professional approach. 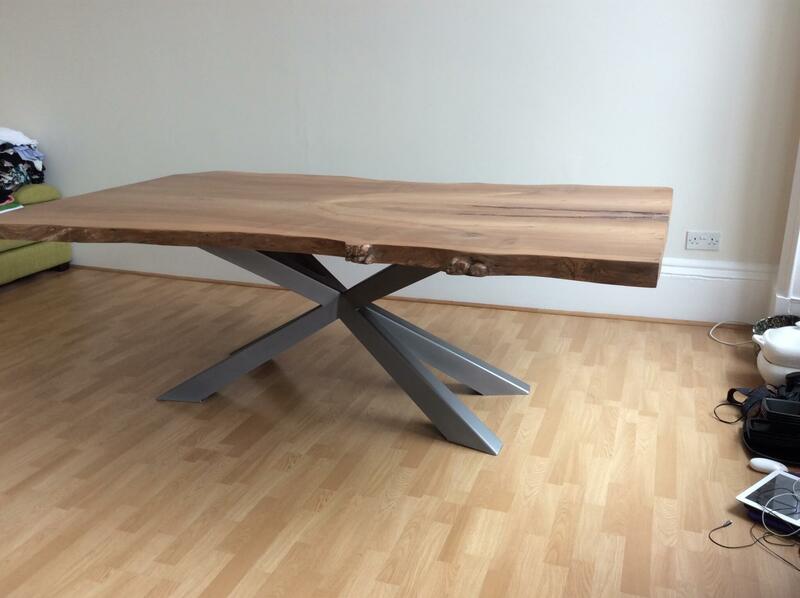 Thanks for a stunning table & look forward to getting back in touch for more work in the future. 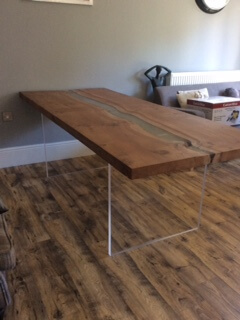 We commissioned a long table in two pieces that would function individually as a desk and a kitchen table and together as a long dining table. 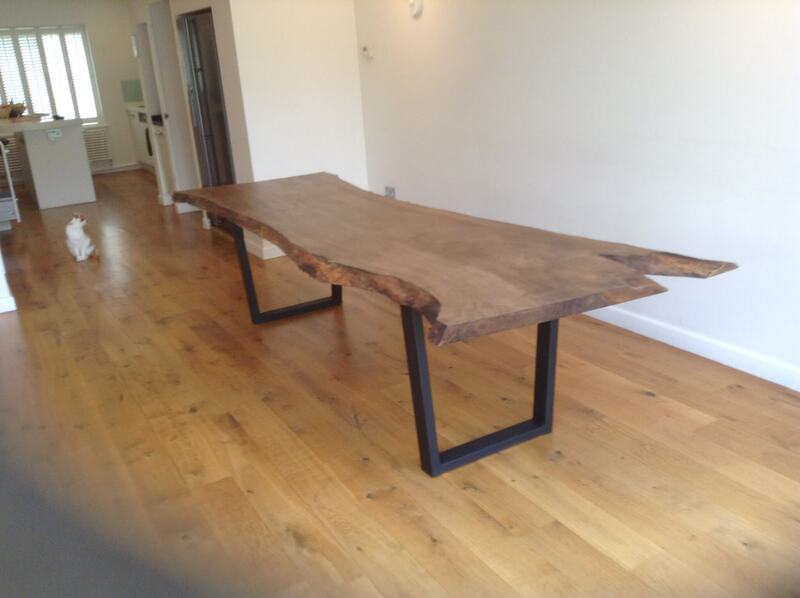 We are so thrilled with the finish, the strength and the style of our tables. 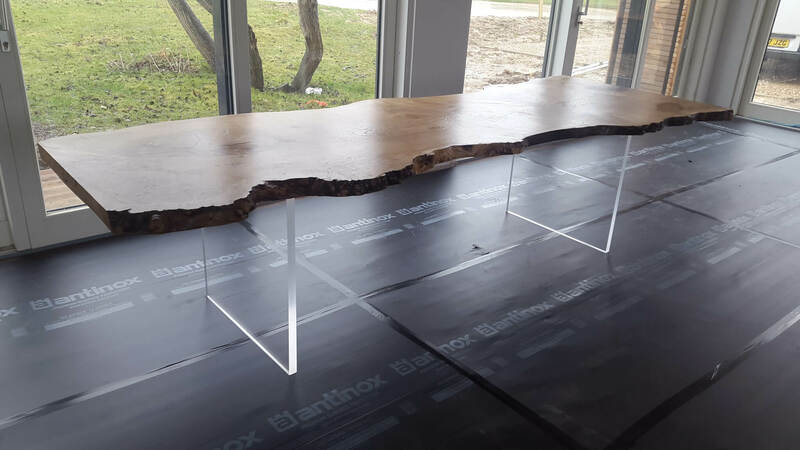 We have had so many comments from guests and feel these tables to be real “pieces” we have been lucky enough to have in our home. Timing and delivery was impeccable. Thank you Sharon and Fletch. 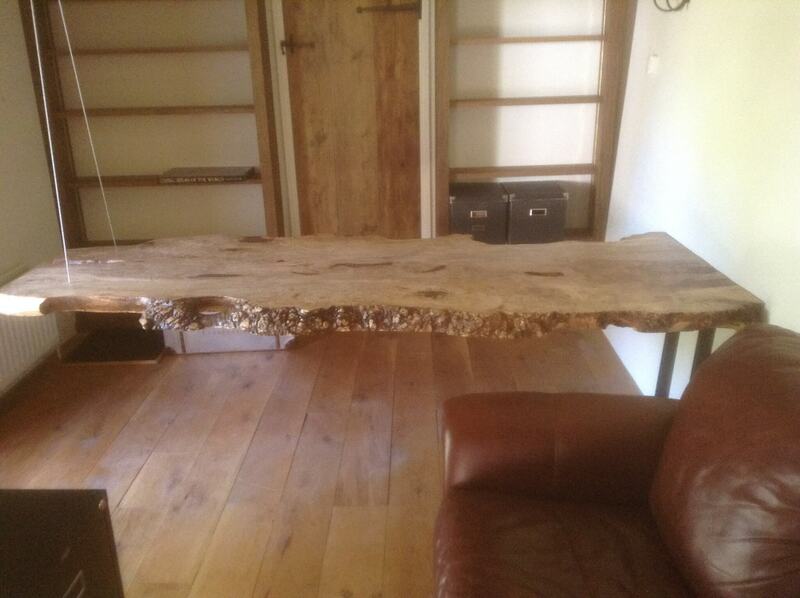 We ordered a large slab table and love the final product. 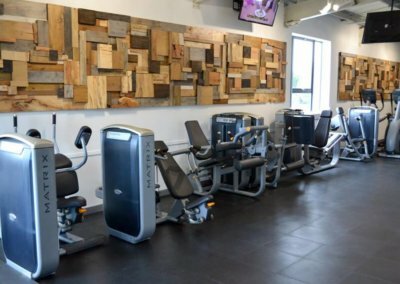 From choosing the wood slab to the finished product, Fletch & Sharon sent regular pictures and updates to make sure we were happy every step of the way. 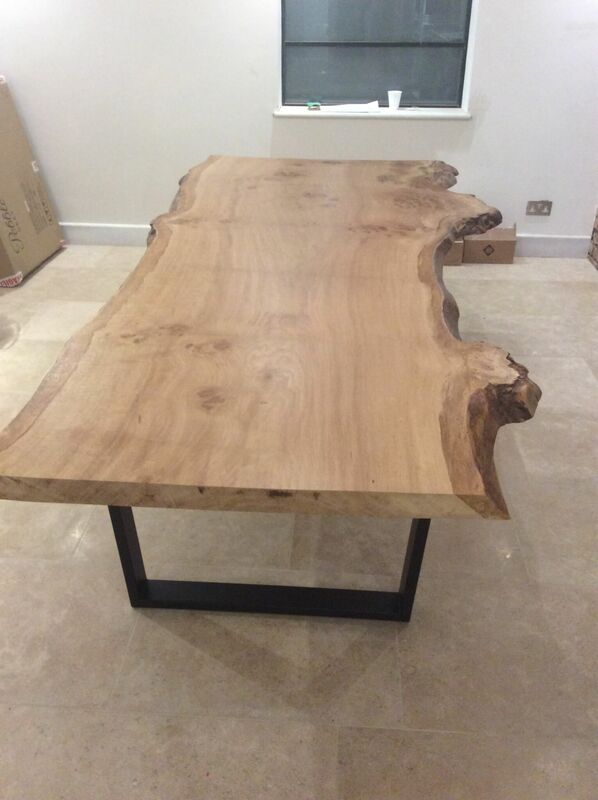 We now have an amazing walnut slab table that just like a piece of art! I would thoroughly recommend them, you'll have a bespoke piece of furniture that you'll never be able to buy on the high street. 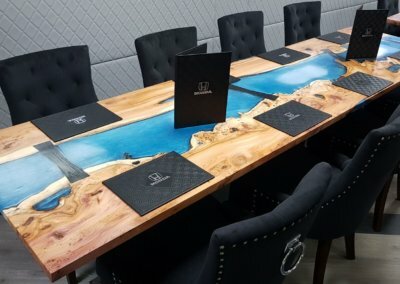 I was refurbishing my flat in London's royal docks and wanted a custom-built dining table I had designed myself to evoke the cranes I can see outside my window. I wanted a wood top/metal base and found fletch through an internet search. From day one he was a pleasure to deal with. 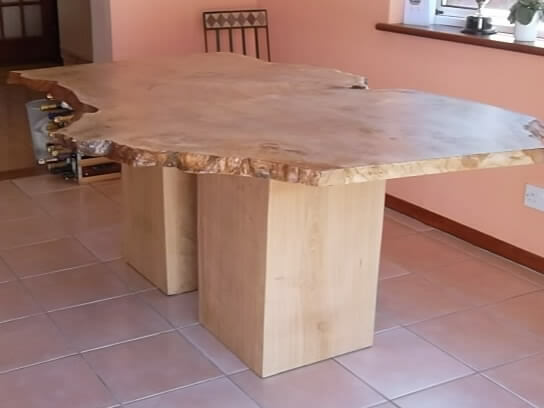 He totally understood what I wanted, sourced the wood and had a fabricator make the base. 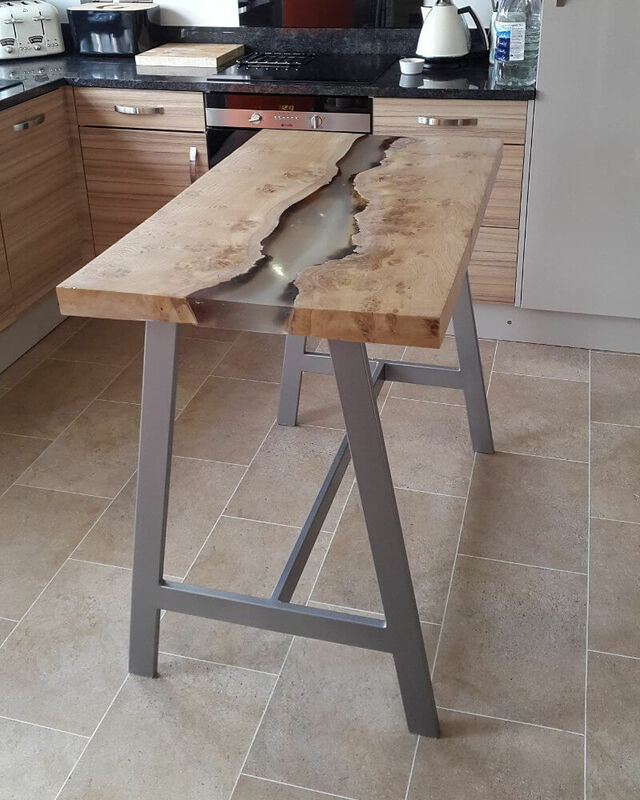 He delivered a table of exceptional quality which now has pride of place in my open plan living room and definitely brings a wow factor. I would say to anyone, don't bother going to the high street or a posh department store. 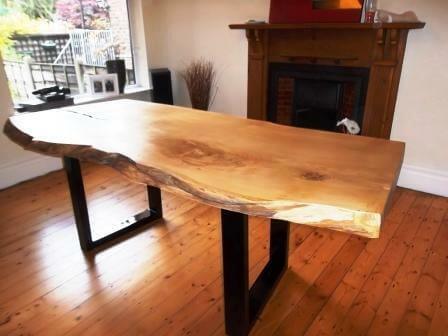 Get your table by Fletch and Sharon of unique wildwood furniture, - you won't be disappointed.